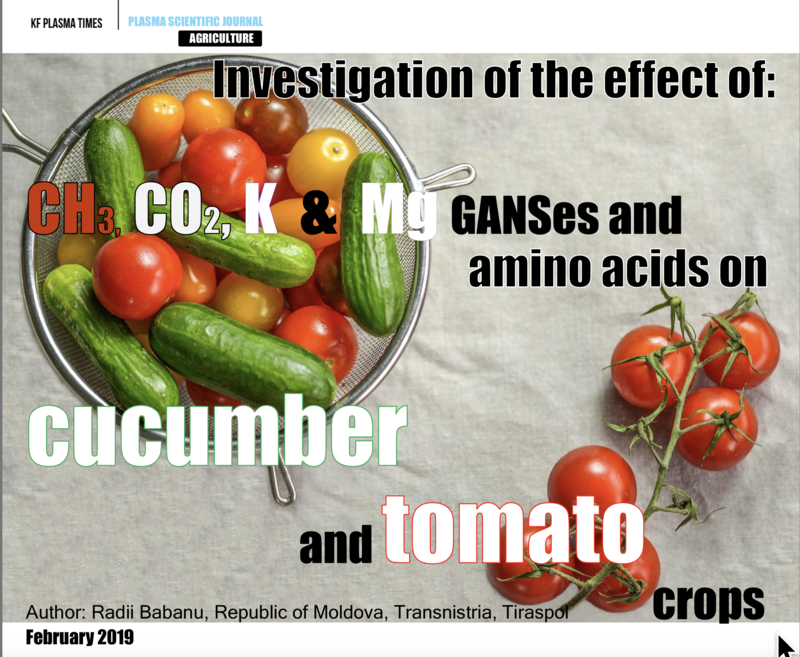 Investigation of CH3, CO2, K, Mg and CONH GANSes effect on cucumber and tomato crops, in conditions of a garden in a private house. 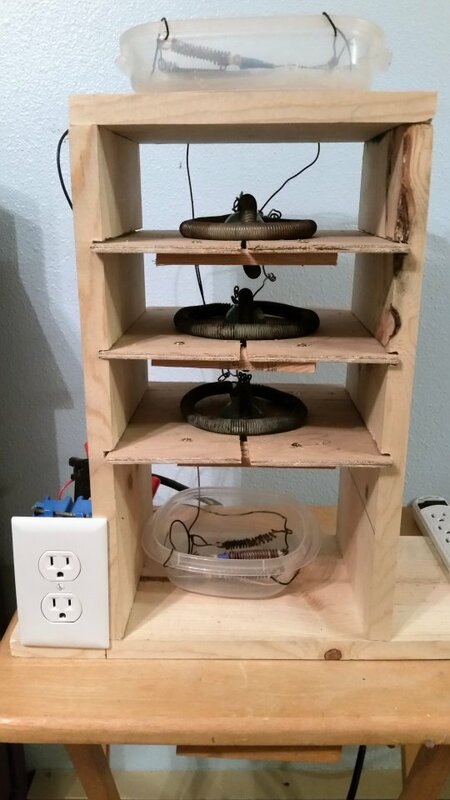 3 small walnut trees tested. left = original (no gans used), middle one with Cu-ganswater and right with a Cu-ganswater ring. Dried herbs do not lose their color they remain green. In October, I had many small green cherry tomatoes and green salads, I took them and placed them in my living room, all tomatoes were red within two and three weeks. Last year 2015 in the autumn I did the same as I had no idea of plasma and the tomatoes have all remained green. The rain water in my garden I have already tested twice on different days, it has a PH value of 7.5. In the garden I have a star formation with three coated glass beads filled with Ch3, ZNOCO2, CUO2 and Aminos run. November 16th, 2016 https://www.facebook.com/groups/GoldenAgeofGans/permalink/1661695140795798/ Hi there! I will like to share some pictures of my Meyer lemon tree, 2 years ago I pick up 3 lemons. This yeas I'm very happy!! As you can see the difference! It's a small tree and give me about 90 lemons! I use co2 plasma water ones a month about half a litter each time, I been doing this for about 14 months now. At first the leafs start to fall, all most all of them, I thought it was dying, then new leafs and lots of flowers start to grow after 4 months using the plasma water, it was last December when this happened! Is odd since I live in North Oregon USA and it's cold, some times we even have snow, this is not climate for a lemon tree! And it was flowering like it was the summer! I keep it indoors during the winter or it will die. The lemons are juicy and delicious!! 6 months ago one of 2 mango trees started to die, it was the same size as its sister on the right but suddenly stopped growing and started dropping leaves and yellowing. Something had damaged the roots. After a while it was 1 metre smaller than its sister tree. After attending a Keshe workshop in Murwillumbah in early september I placed a plasma patch with co2, zno and ch3 on its trunk for 2 weeks, then I began to water its roots and trunk with 4 buckets of water a day, each bucket having 20 ml of plasma water from a co2/ zno Gans. After another 2 weeks you can now see it starting to recover and new shoots are appearing at the branch ends. I dont have any co2/sea gans yet but that will be the next treatment next month. My mandarin orchard is old, it fends for itself. Over the years I have lost many trees due to drought or flood. This years weird weather gave an enormous fruit crop with branches bending to the ground and massive sweet mandarins, most of which I gave to the homeless kitchen. But the stress was so great the trees started dying with the very dry weather. So I began watering each tree with 1 bucket of water containing 20Ml CO2 Seagans water and 20ml CH3 gans water each day for 7 days. Then I stopped watering for 14 days and now there are new shoots all over the trees. It took me since October when I first discovered Keshe foundation online. The first video I watched live on Youtube was the Ambassidors meeting. I couldnâ€™t stop watching new seminars and blueprint teachings since. I have muddled through with the little spare time I had. It took me 2 Â½ months. With lots of thanks to my boyfriend for all his help. But I did it. Back to working with making some gans. Hoping to get a better setup going with the copper brillo pads. All nano coated now and ready to go. I love gans water. I had cut off all my celery and it only had a couple small shoot coming out. I watered them with 1 tsp gans of co2 and 1 liter water mix. I watered them about a week ago and then forgot to water them again. I went in tonight expected to dead or dying plants. Now they are taller than when I trimmed the mature plants. I was shocked. This is so great. 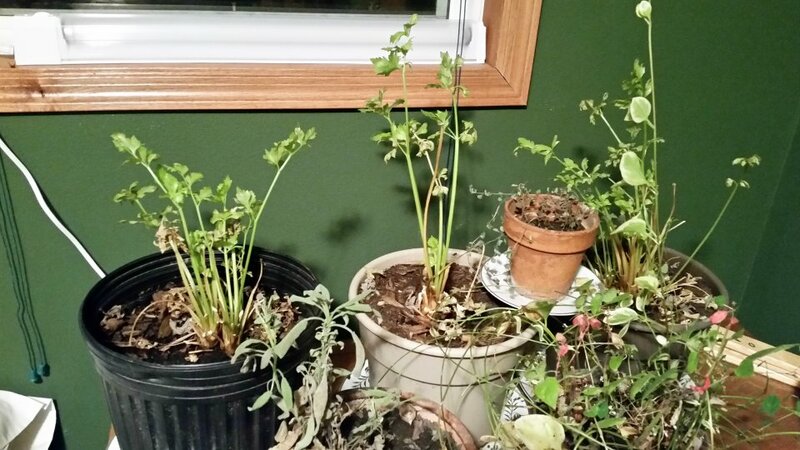 I had cut all my celery plants off and they only had a couple shoots growing. I had watched a video on one of the fb group sites and found out about the gans water. I took 1 tsp of c02 gans water (final rinse water of my gans (4th rinse) to 1 liter of water. I water the shoots once about 6 days ago. Then I forgot to water them again. I went in expecting to find dead or shriveled up plants and wow, they are taller than when I harvested them. This stuff is awesome. We are getting very impressed when we use Co2 Gans water on our plants! The cat grass is a nice example of how plants like it. We buy it once a month so we know how it grows. This one with gans water is seriously bigger then we ones we fed with normal water. Cut the straw inside the bottle about 10 cm from the bottom. Put gans water in the bottle, about 10%. Fill up the botyle with normal water. When it is finished about 10 cm will remain. Fill it up again with normal water. Let it mix for a couple of hours and use again. Repeat this process again and again.